Contact Janice for session rate. Dr Janice Brydon is a Chartered Counselling Psychologist, who practices mainly within a person centred and integrative frameworks. She is also trained as a psychodynamic and cognitive behavioural therapist (CBT) and is a specialist in EMDR trauma therapy. Janice is qualified to carry out psychometric testing including assessments for Autism and IQ. Janice has worked in the field of psychology and psychotherapy for over fifteen years working with Adults, Adolescents and Children providing individual therapy. She provides a secure and confidential environment in which to explore your difficulties and establish a treatment plan that is specific to your needs. 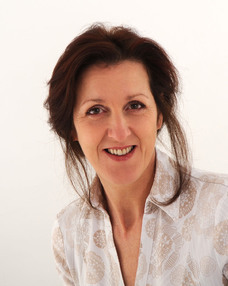 Janice’s area of expertise is in trauma (including; loss, separation, bereavement) and abuse, she has experience of working with a range of other issues, including; anger, anxiety, panic, depression, low self esteem, identity issues, personality disorders (PD) or generally miserable and feeling that life has lost its purpose. She has worked in a number of NHS organisations, including GP surgeries. She has a degree in psychology, a Masters in Counselling and a doctorate in counselling psychology. She is a member of the British Psychological Society, EMDR Association, BACP and registered with the Health Professionals Counsel.